If you are working from home, are you actively trying to grow your business? How big exactly do you want it to get? 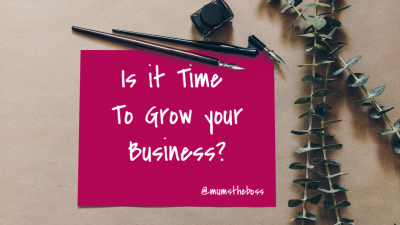 For many mums, the whole purpose of starting a small business, is so that you can work on your own, at home with your children, on your own terms. For a substantial proportion of us that is enough, and making a small amount of money while staying at home and having time to raise a family is the main aim of the business. However for others, either you always planned to start a business that would expand, or maybe it just happened that way, but sooner or later you may get to the point where you are working all the hours that you have available, and making a profit, and the only way for the business to grow is to expand, one way or the other. 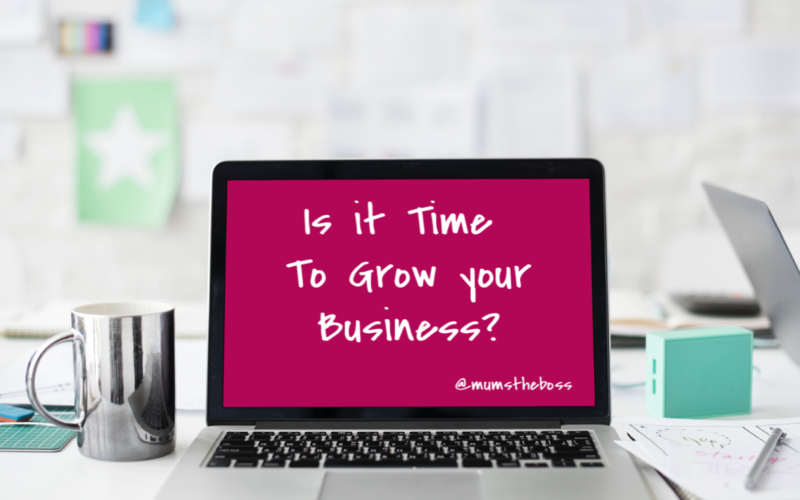 How will you know when it’s time to expand? If your business is successful – if what you are selling is being snapped up as fast as you can provide it, and if you are working all the hours there are just to stay on top of things, then, first of all, give yourself a pat on the back. So many home business endeavours do not get off the ground at all, so well done for what you have achieved. If it gets to the point though, where your business is starting to take over, then maybe you need to reconsider? You wanted to work from home to see more of the children, but in fact, you are ignoring them because you are spending so much time on your business. So if you have got to that point where you are just not keeping up with the success of your business, then where do you go first? 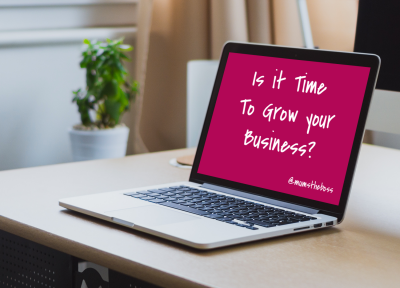 You need to grow your business and get an extra pair of hands or two – but how do you go about it? It’s a good idea to outsource the parts of the business that you find the most difficult, or the most boring, or both, so that you can then concentrate on your area of expertise. Think about which jobs within your business you keep putting off – how much easier it would be if you had a person doing those things who had actively chosen to work as a specialist in that area. Alternatively having a virtual assistant who works remotely, handling a variety of small tasks can be an absolute godsend. Another area you could consider outsourcing if you work from home is some of the domestic stuff, freeing up more time for you to do business stuff. Certainly, my first outsourcing was somebody to do my cleaning and laundry – the time I used to spend on that is now spent actively growing my business. Taking on permanent staff is a bit of a big scary leap. At that point, you will be paying them every week and giving them a set number of hours. You will certainly have to pay tax and National Insurance for them, and you may be liable for holiday pay, sick pay, maternity pay and to contribute to a pension for them. If you are considering taking on full-time staff you would do well to consult an HR professional just so you know where you stand with the law in your country. But, to be honest, if you have somebody who is working a regular number of hours each week, they might have a case to be treated as an employee even if you don’t currently pay them that way. So make sure you know the difference between a contractor and an employee, so you don’t get stung. When you get to the point where you are taking on employees, maybe it might make sense for you all to work together in the same space, and so the business might expand beyond the confines of your home into an external office or business premises. This is another big scary leap of course because you are committing yourself to a regular rental payment, no matter way the results your company has. You need to choose the right kind of premises. Is it just office space you need, or would a warehouse be a good idea too? Do you want the kind of place where clients are going to visit you – if so you may want to consider the location carefully? You can view properties to let easily online, or you can go into somewhere that deals with business lettings to make sure that you find the right space for you. The wrong space would be something that’s far too big, and far too costly. But renting an office really is the first step to the rest of your big venture. It gives your business more of a status, and takes you away from that small home office. So those are the ways that businesses tend to grow. That may excite you or scare you, but however you take your business forward, do it with caution and make sure you take professional advice that you can trust every step of the way.